At Activ Physiotherapy, we are committed to maintaining the trust and confidence of our visitors to our web site. In particular, we want you to know that Activ Physiotherapy is not in the business of selling, renting or trading email lists with other companies and businesses for marketing purposes. The only reason we will collect your data from this contact form is to answer any questions you may have regarding our physiotherapy service. Activ Physiotherapy will not contact you with monthly newsletters nor bombard you with advertising emails to promote our service. 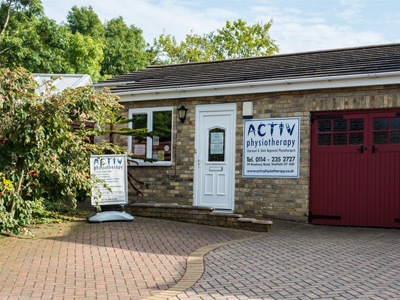 We have four physio clinics located throughout South Yorkshire and Derbyshire, all are easily accessible and on and off road parking is available. 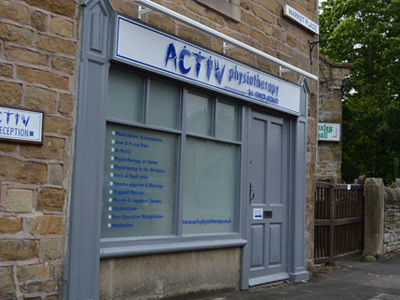 Our Sheffield physio clinics include Bradway and Totley practices. Our Derbyshire physio clinic are located in the Hope Valley area. This is easily accessible for customers living in and around the Derbyshire area such as Bamford, Castleton, Thornhill, Brough, Bradwell, Eyam, Edale and Hathersage. Contact details for each physio practice in Sheffield & Derbyshire, can be found in the links below. Email us now and we will respond to you as quickly as we can.